If you want a vase without colour effects. 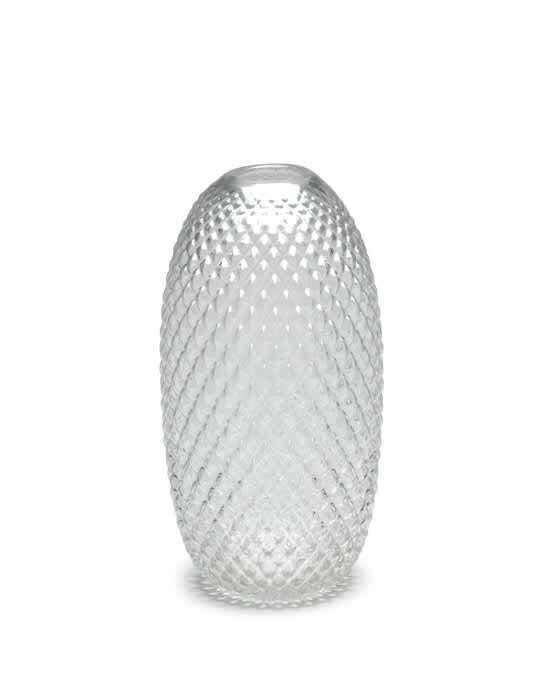 Choose the Facet Transparant vase with a nice pattern in the glass from Fest Amsterdam. Small or medium size. Also available in blue or green.